I couldn't help myself. I just had to try a few more shots. This will be the last of this sort I post… today… I hope! ← We do it to stop time. 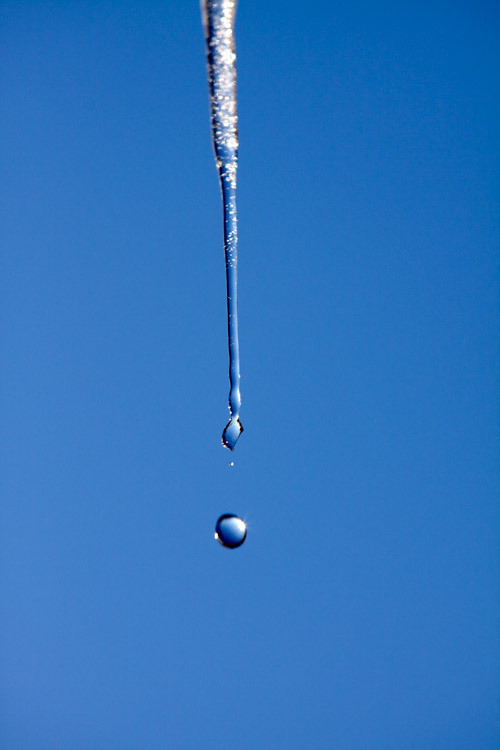 AMAZING….how did you catch the drop of water falling and have it look so crystal clear. Don't stop posting. These are such lovely pictures! No! Not your last post! Look at the world of blues in that tiny drop!! I find it amazing work!